Hi! My name is Kelly Fitz-Patrick and I love any and everything to do with cooking and home design. My goal is to share real food recipes that are easy and delicious! The reason I wanted to start this platform is to educate myself and others about cook and knowing where your food comes from, what’s in it, and how it was raised. The saying “you are what you eat,” means so much to me. I truly believe that what you put in your body makes a difference in your daily life. Having that knowledge creates a positive and powerful environment when it comes to food. In 2013 I did my first Whole30. I really started to learn that what you put in your body affects your moods, your skin, how your stomach feels, basically everything! Even though I thought I was “eating clean”, I really wasn’t. What a difference 30 days can make in your life! As of January 2018, I will have completed 5 Whole30’s and I have created some tasty recipes in my journey. I am one of those people that gets so excited shopping for kitchen utensils, cutting boards, knives, _____ enter kitchen accessory here and I’m a happy camper. Creating new healthy, easy, real foods is what gets me out of bed in the morning. 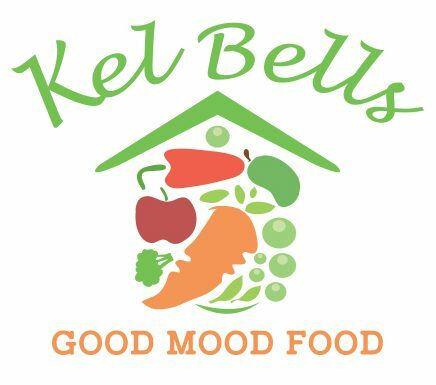 KelBellsGoodMoodFood is about what I love to do and I hope you enjoy following along!